Access User Groups was founded by Access MVPs, Juan Soto and Ben Clothier, in order to foster virtual Access User Groups nationwide. Sometimes it is not feasible to have a local Access group in every metropolitan area or there are not enough interested people in close proximity who speak the same language. They wanted a membership community, multi-language and multisite network where each group and its members could log into the site and communicate with one another. AccessUserGroups.org was done using the multisite feature from WordPress using the same installation core files. 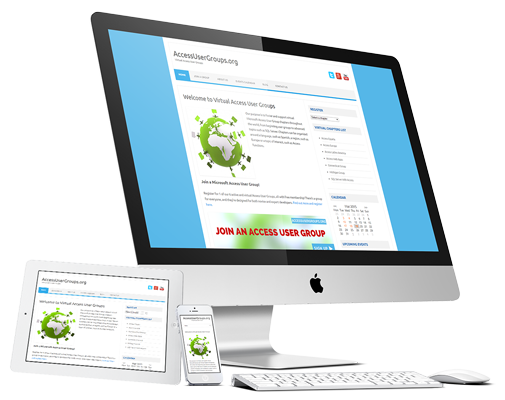 Although still part of AccessUserGroups.org, each website allows for individual administration in different languages, various users for each website, and they run as if they were separate from the pack. Using this setup, anyone can start a virtual user group in any area or language and get started with online meetings right away to share tips and work through common problems together. 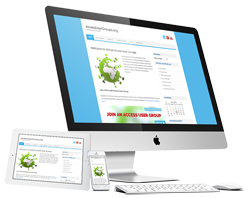 Members can access the group from any device – PC, tables and smartphones. A completely new multi-lingual and multisite catering to each group’s needs. The main site displays all user group events while each group site has a user friendly calendar for their monthly meetings.